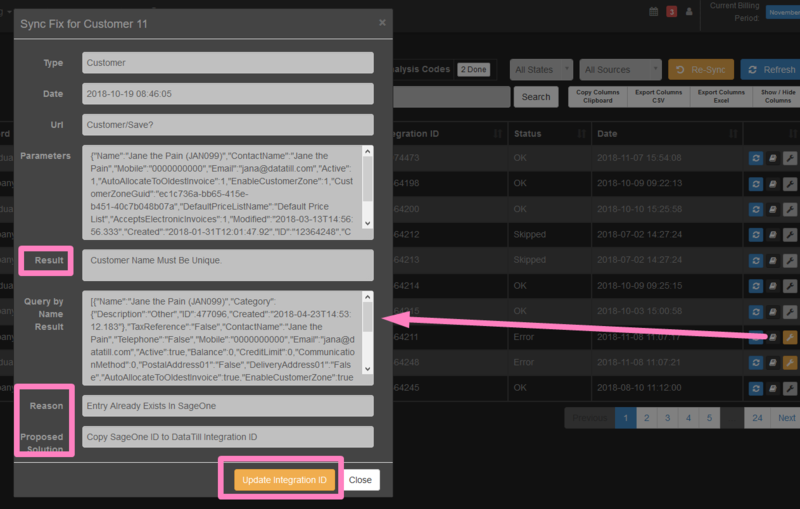 A customer already exists in Sage One when trying to sync the customer from DataTill. Syncing a customer with an invalid email address format. Existing Sage One Integration ID is different to the DataTill Integration ID. A very rare case, where the same Customer code exists as duplicates. These issues will prevent the sync from taking place and an error message/log will be visible. 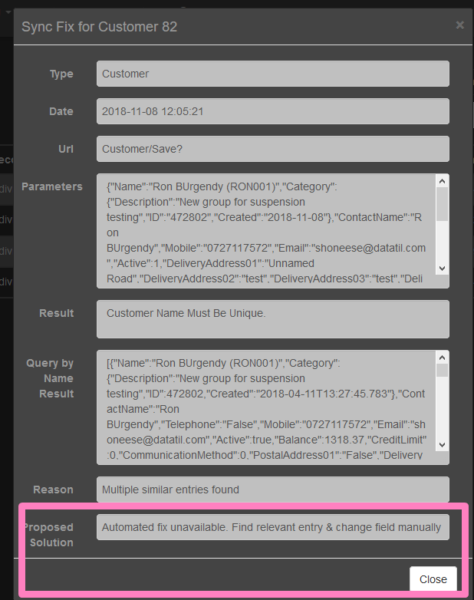 DataTill has now improved the Sage One Sync Queue, to include automatic fixes and proposed solutions for common errors. In the example below, you will see records that were not sucessfully synced now have a new orange tool icon next to them. The automatic fix button will display in orange. If no automatic fix button is available then a proposed solution is given.